A little rain and snow for the Truckee River. Much warmer and much better fishing the last few days. We just needed a little weather to kinda stir things up a bit. Couple feet of snow up top and mostly rain here in the Hirsh. Not enough rain to blow out the river, but much needed. Flows are about the same as last week all over the river, Ca, and Nv. More on the way this week. It will be interesting to see how much moisture these storms will have and how they will impact the river. Fishing is generally really good when the river comes up. Probably be better this month on the river than last month. Beatis, midges, worms, and eggs for the nymphers. Streamer fish if you don’t want to nymph,(my choice.) 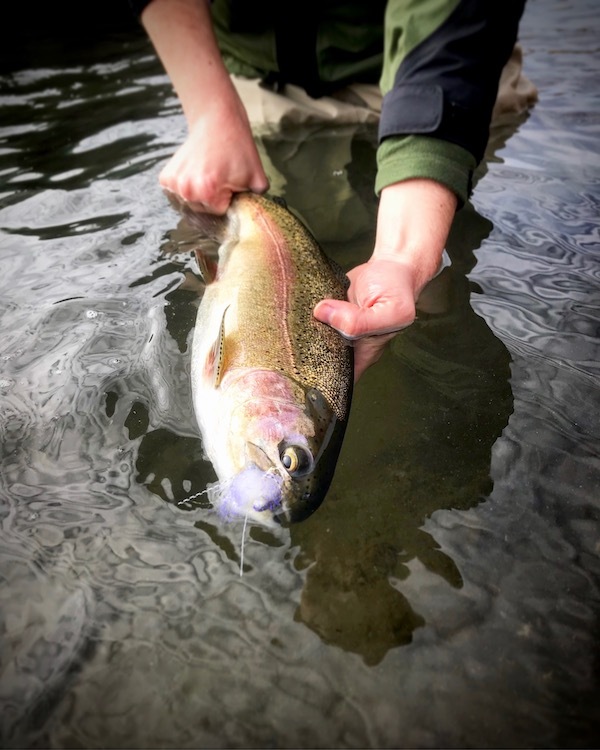 Streamers will often pull the fish out of a cold water funk. And you may see some fish on top during the warm afternoons, think, baetis, and midges. 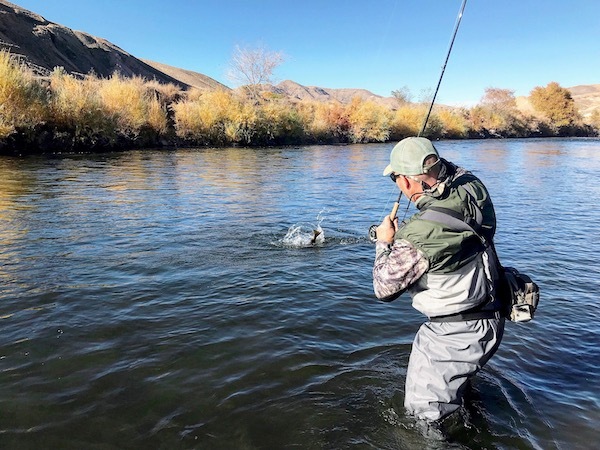 Like I always say this time of year, it’s not really about covering lots of water, it’s about methodically fishing a run and trying to get the trouts to eat. 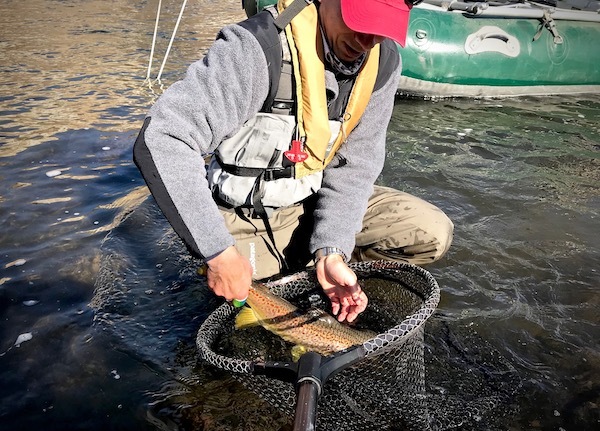 Fish are in the runs and not the pocket water. Go fish a run or 2 for a bit and work it good. I still really like guiding down on the East side this time of year, but with the storms and the warmer weather, I’ll be around here some too now. The Rest of This Month Might Actually be Pretty Good.